The first thing you want to do is open up the sound file in your editing program of choice. I personally use Goldwave as my editor of choice but what you need to do here should be possible in any audio editing software. 5) What to do if it sounds wrong? Sometimes the 5 second fade in/fade out time isn't good and you need to change it. For some ambient songs I do 2 seconds or 10 seconds, just be sure to carefully listen to what sounds best and through trial and error you will eventually find that happy middle ground where the song loops and there is no obvious change to the end user. The only important thing is that whatever time you choose to fade by the intro and the outro must match exactly that otherwise things could sound a little funky and off. Another optional thing to do is if the start of the song now sounds incorrect to you from the mixed clip of the intro/outro, you can always move the starting point of the song around so for example if you want the song to start at 10 seconds because it sounds better to you then simply cut from 10 seconds through to the end of the song and then paste it at 0 seconds. Listen to the connecting parts to make sure everything sounds right and then thats it. You should have a looping sound effect / ambient music without any obvious change in the song. Thank you sir. Very much appreciated. I've messed around with noise for a while now and I have a pretty nice ambient for a thunder storm, heard from inside. Heavy rain, wind and some rumbling thunder. I've tried to make a seamless loop of it but I can't get it to work as I want in Audacity, I'm getting a very small popping noise. I've tried fading and copying the end and add to the start etc. Is there anyone here who wants to take a look at it and help me out? edit: Didn't know which thread to post in and it felt unneccesary to create a new one, so I posted here. Here's a Dropbox link with the file. Edited by Paralytik, 17 January 2017 - 01:26 PM. Did you test it out ingame? From my knowledge, some Media Players add the small gap before replaying, even if it is not there in the file itself (because they reload the same file after ending which sometimes causes some small lag which resolves in this clipping you mentioned). About your ambient sound itself: Is this one compressed with a low bit rate or something? Because it seems a bit like "low quality" / "high compression" to me. I've only tried it in Audacity, which should play back the loop perfectly to my knowledge. 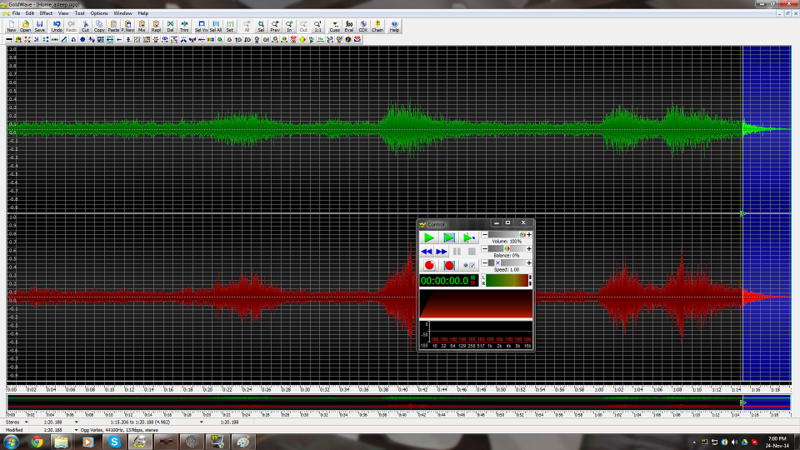 It is an uncompressed wav exported from Reason 9, but the EQing might make it sound compressed. I've removed some of the low end with high pass filters. The sounds themselves are noise occilators with some FX on some of them. I've made it so it should sound like rain outside of a building when you play it on lower volume. I'm pretty happy with it myself, but I can always make adjustments, it's not very hard. EDIT: Just to clarify, the file I've uploaded is not an attempt at looping it, just the raw file from Reason. I thought someone else might want to have a go and make it work better than I've managed so far. Edited by Paralytik, 18 January 2017 - 08:46 AM. Yes, then it is indeed the EQing. You might want to consider finding a "true" in-house recording. For Audacity it is true, it should loop pretty good without a gap. But as I said - you should also try it ingame with a short looping sample. I made our ambient sound system to overlap the incoming & outgoing music, but a lot of ambients themselves start with fade-ins, so it isn't all that seamless, but still much better than a hard cut.